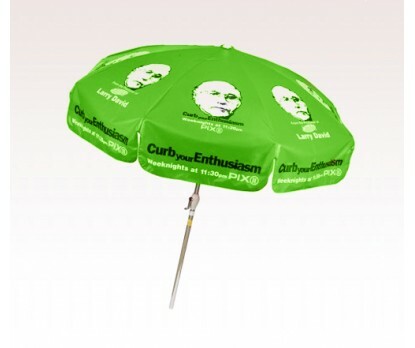 Personalized lime green 7.5 ft x 8 panel configuration vinyl patio /café umbrellas make a real time investment choice for marketers who are struggling hard to position themselves in customers minds. This umbrella will be easily seen from a distance due to its large canopy and it can uphold interests of onlookers due to its impressive color profile. People will be instantly drawn to the area merely by looking at this huge and inviting umbrella. Features - 7.5 ft x 8 vinyl lime green canopy, wind vent (optional), sturdy aluminum frame. Is offered with 2 piece pole and tilt feature.